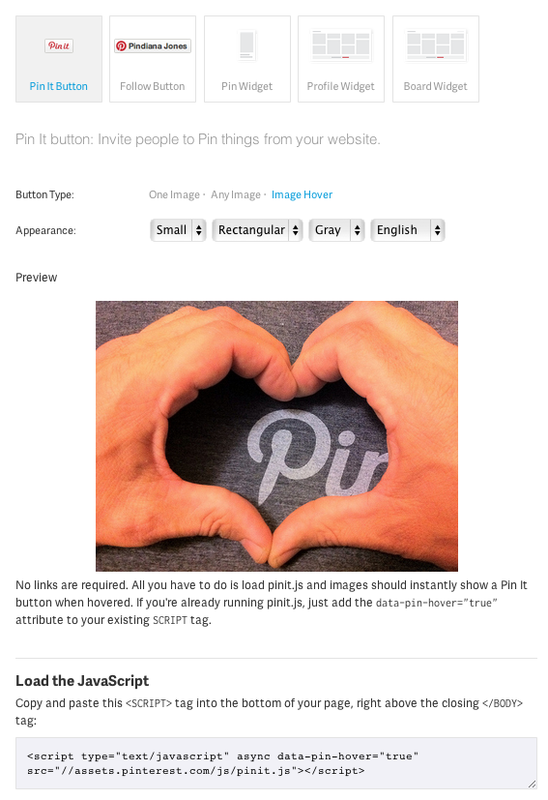 A “Pin It Button" is a fantastic way to get your products onto Pinterest and shared by other Pinterest users. In this guide we will be looking at the Image-Hover “Pin It Button", which will appear on any image the visitor can pin on your website when they hover over it. Firstly, to get to the Pinterest Widget Builder please click here. Next to the “Button Type” option click on the “Image Hover” option. Click on the “Build it!” button. Follow the instructions here to add this code as a HTML Fragment. Go back onto your “Content” screen from the Top Menu. Select “Edit Site Footer” in the left-hand menu. Add this HTML Fragment to your Site Footer. Save your changes and republish your website to ensure they go live.